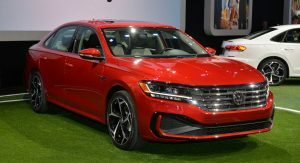 Volkswagen unveiled the 2020 Passat at the North American International Auto Show yesterday and the company is standing behind its decision to update the existing model rather than create an all-new sedan. 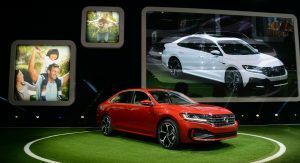 Speaking with Roadshow, Volkswagen Group of America CEO Scott Keogh defended the decision by saying he’s “one hundred percent” positive that the customers will like the car and the model will be competitive. 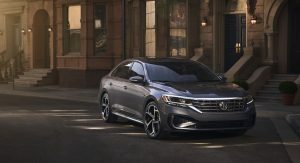 That remains to be seen as the 2020 Passat will have to compete with the Honda Accord, Toyota Camry and Nissan Altima which have all been completely redesigned in the past few years. Saying you’re customers are essentially clueless isn’t the best idea, but Keogh has a point as many of them will probably never know. 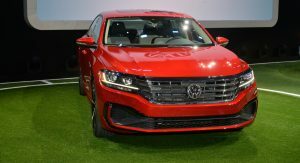 One thing Volkswagen hopes they do notice is the revised styling and updated interior. 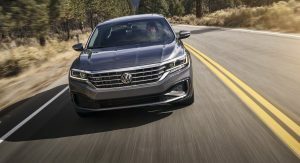 Of course, one of the key reasons Volkswagen decided to base the 2020 Passat on the PQ35 platform was cost. 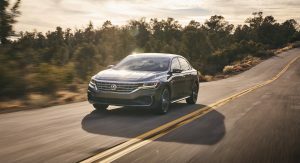 Keogh noted the sedan segment is shrinking and the company only has a “certain amount of resources” to spend on new models. Volkswagen’s logic becomes clearer when you look at the sales chart. 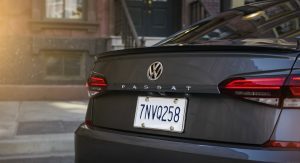 Passat sales peaked at 117,023 units in the United States in 2012, but they’ve fallen every year since then. 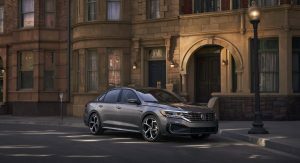 Last year, the company sold only sold 41,401 Passats in America. 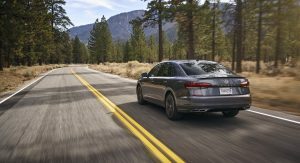 That’s a tiny number and one that likely makes justifying the Passat’s continued existence a bit difficult. 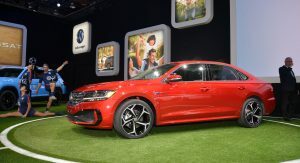 Ford and General Motors have already announced plans to drop several of their sedans which sell in far greater numbers than the Passat. 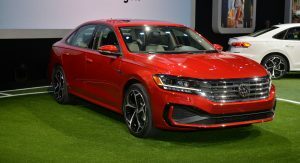 Among them are the Chevrolet Cruze (142,617 units), Chevrolet Impala (56,556 units) and Ford Fusion (173,600 units). Agreed, even the few that decide to do some research will find out as well. And then what though? It’s like the most matterless thing for this segment. 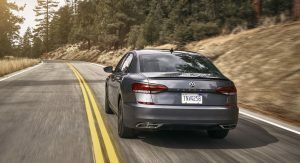 Toyota has done the same thing with the Camry for years up until this new one. I agree with that as well, I feel as though it didn’t need to be said at all. I doubt it. People are generally clueless about cars. I mean what family car buyer is interested in or cares about what platform a car rides on? Ah, is this site just our little secret? Don’t think the editor will be happy about that. Can you tell me why a family car buyer would care about what platform the car sits on? Well I’ve got a family car and I care what platform it’s on. How very dare you, sir! Yeah right. Like I said, the majority of buyers are clueless and don’t care and the family car king Toyota has done this for years with no problem. Much ado about NOTHING, especially in this segment. What I enjoy about our conversation is that you have chosen to take my light-hearted, perhaps fatuous reply to the quote (some would say trolling but I couldn’t possibly comment) as a serious statement which required a rebuttal. I salute you for allowing the tone of my comment to sail right over your head. Thanks for the time waster. So now we’re not even going to try to be subtle when insulting the American consumer? Bravo, genius. Bravo! 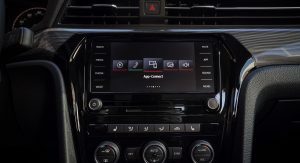 Almost every carmaker has kept a platform in use over multiple generations of model. Toyota being a prime example. Would you say Toyota cheats consumers as well? You don´t get the point. The dieselgate is a good example of VW cheating consumers. I´m not saying nothing about Toyota. This has nothing to do with ‘cheating’ customers or Dieselgate. They’re unrelated. Yes I do… do you know what a Strawman argument is? Because that’s what you made. I Toyota did this for years, but they didn’t make a big deal out of it. More to the point, the media didn’t make a big deal out of it. Toyota always got a free pass on carry-over technology. The engines in Toyotas are as old as dinosaurs and some of the SUVs are as old as the Panther platform. Toyota has a reputation for quality, but also has a reputation for not being very aggressive with new technology. Are you talking about Toyota’s trucks or their actual cars? Because I don’t remember Toyota ever releasing a bunch of new cars on the TNGA platform (for example) while introducing another car on an older platform. 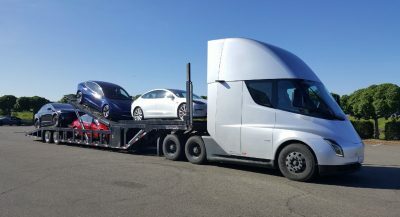 They may do that for their trucks and truck-based SUVs but that’s something that a lot of manufacturers do. Their cars. The previous Camry rode the same platform for years and years. TNGA is brand new. Except for the fact that it looks very much the same as it has for years. This a midcycle refresh of an old car that was already midcycle refreshed once before. 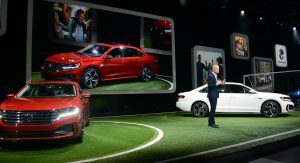 VW is throwing in the towel in a category where they used to be very strong. Wow… what a colossally ignorant statement: “Our consumers are too dumb to know the difference” would be a pretty accurate paraphrase. And by the way, I recently owned a VW with the Modularer Querbaukasten (MQB) chassis, btw. So I very well know–and can feel–the difference. And we live in age where people have things like the internet. So, you know, we’re not ignorant on these things. 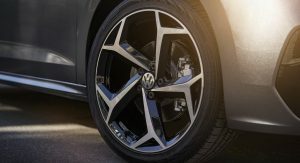 Get smarter, VW, or you’ll risk losing more of us. 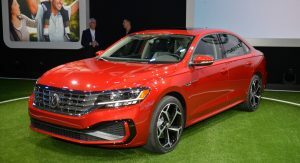 I bet if you drove an MQB-based Passat in Europe (which is longer wheel base than any non SUV MQB we get in the states) vs. the PQ46-based refreshed Passat we’re getting here, driving dynamics wise, you probably wouldn’t notice much of a difference. 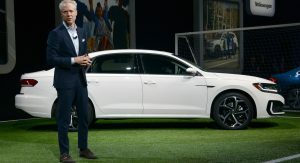 Sure, you’ll notice a difference between an MQB Golf/Jetta/Sportwagen vs. a new PQ46/NMS Passat, but that difference is largely due to the wheelbase. Suspension design wise as well as overall chassis rigidity are very similar. And a large change in feel can be made with just different dampening and spring rates and stiffening up a couple bushings. Swap steering racks that have a faster ratio from another model car. Despite being on a different platform, there’s still a ton of interchangeability and similarities with MQB, PQ35 and 46 cars. Youve got to be pretty desperate for a car to pick this. You underestimate how little facks normies give. Normie car owners only care about not having to walk. They could care less about cars. If you show up in a new Lambo they’ll say “Nice Ferrari”. If you buy a new BMW they’ll ask how your new “British Motor Works” is. EVERYONE knows no British motor works. 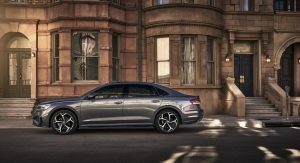 OK, given those pathetic sales numbers (which makes one question the wisdom of the Fusion and Cruze decisions), I can understand where VW is coming from. But, even if the customer doesn’t know/care, just looking at that ancient dash with the screen so low, it’ll be obvious to most. I’d never buy one. 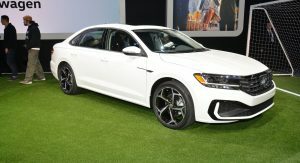 Forced to buy a VW, it’d be a Jetta or Golf. Yeah, that is a bit strange. 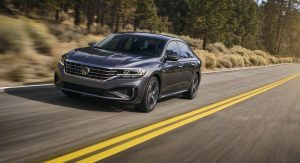 The platform itself doesn’t have to be married to having an “analog” gauge cluster, definitely perplexing that the Passat, which is supposed to be larger and more upscale than the Jetta, doesn’t have the latest and greatest that the Jetta does. Beyond that, the VW boss is right. 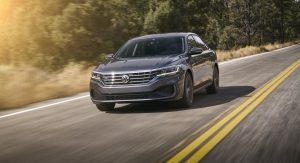 Driving dynamics between MQB and the long wheelbase PQ35 (aka PQ46) that the Passat is on, people aren’t going to know it’s “dated” in comparison. The base suspension design shares quite a lot in common with the MQB as the MQB itself really is just an evolution of the PQ35 anyway. Now, the PQ35 was a very noticeable improvement on the PQ34, aka “mk4”. But PQ35, PQ46 and MQB share so much in common that it genuinely is difficult to tell them apart in terms of driving dynamics. 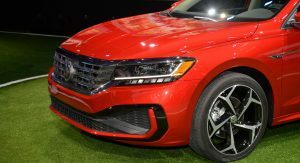 And yet VW chose to build two distinct Passats. If indistinguishable, as you suggest, that just wouldn’t be necessary, would it? The Cruze is smaller. 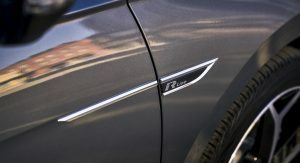 The direct GM competitors are the Malibu and Regal. You want a sub-BMW German sedan, spend a little more and get an Opel Insignia/Buick Regal. Wow super arrogant. The car already looks horrendously dated though so good luck. They won’t know because they won’t buy ? 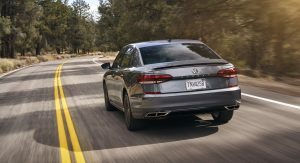 New Accord, Camry and Altima just fit better in American market. What Keogh said in public can and will be boiled down to “It’s good enough for who it’s for.” That is absolutely the wrong message, even if he didn’t mean for that interpretation to come to the fore. 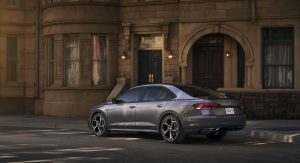 Rest of car industry: Sedans are dying, we’re out. 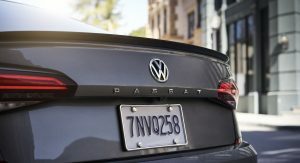 Volkswagen: Hold my beer while I make three different versions of a sedan nameplate. Pretty smart move though, maximizing the platform they already have without costly investments. 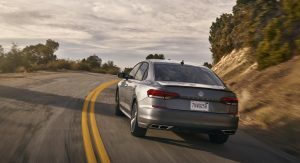 This way they stay in the segment just in case sedans make a comeback…and they will. They will buy it because it is modern conservatism in its styling. Plus it has all the gizmos its competition has. The old Passat did not have bad handling and had a half decent ride. 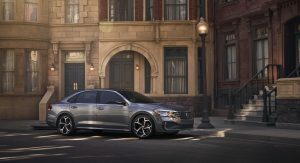 If VW can tweak it further it will remain competitive with an Altima, Kia Optima, Hyundai ext. Honda and maybe Toyota might handle better but 99% of the people will not notice. Also a Camry has an ugly nose. The Passat mimics the Aerteon’s dashboard. Its got more torque than a 4 cylinder base Accord, Altima Camry as well. Without the big 3 to compete with it might do OK for a while. 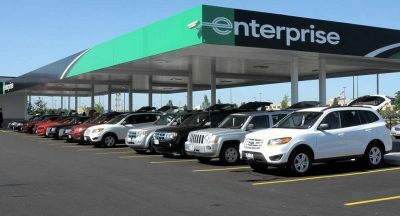 But this is a dying market and I’m guessing in 5 years everything will migrate over to SUV/CUV’s anyway. It was the right move by VW. I just flipped back and forth between similar photos of the current one and this one. It looks like the whole center section of the car – roof, windows, doors – are identical. So it’s just new front and rear clips. It already looks a little dated. It will look more dated. The problem isn’t continuing the same platform, it’s continuing basically the same body. When it comes to this car and this segment, this really does not matter. 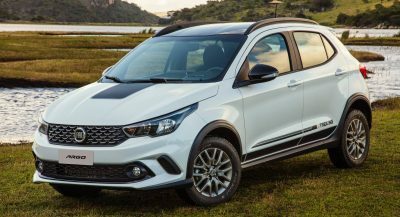 Hear me out, the thing is as long as the cars in this segment are comfortable, have the tech and are decently reliable, people are happy, these are mostly our daily commuters and small road trip cars, they are comfortable, fit most of our stuff and is family ready. 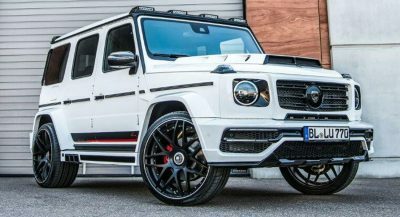 Unless you want a bit more driving pleasure, then get a Merc or BMW. 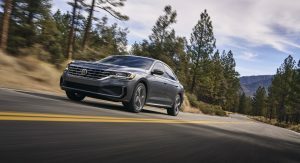 They will give you a bit more fun, not groundbreaking but better than a Passat and Jetta but the premium is heavy to pay for the upgrade, which i better not epic. And this is base german cars too. DIdn’t GM have a similar approach back in the later 90ies, when many platforms were kept around way too long? 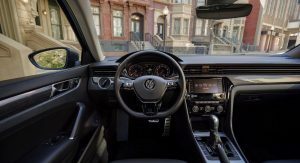 That said, probably the 95% identical interior (with a tiny b/w screen between the instruments like it’s 2005) will still tell them it’s an old car…..
“VW Says Consumers Won’t Even Know The Passat Rides On An Old Platform” – they will, you just told them. If the platform debuted eight years ago and the average lifecycle of a model is around 7 years, the platform will be 15 YEARS OLD before we need a new one. 15!! Soon the platform will be older than the car’s drivers! 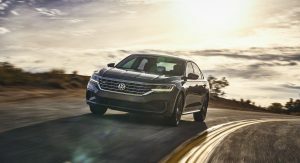 I wish VW would say what changes to the suspension or chassis were made for the “new” Passat. I’d be surprised if the suspension & chassis settings are identical to last years model; at least I hope they are not. 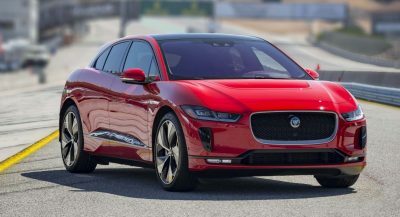 While car enthusiasts may be discouraged by this news the average consumer will not care. Exterior is clean and conservative but thats what VW does best so I think it’ll do OK.
Jeebus! Veil it back, quickly, that face is a mess. 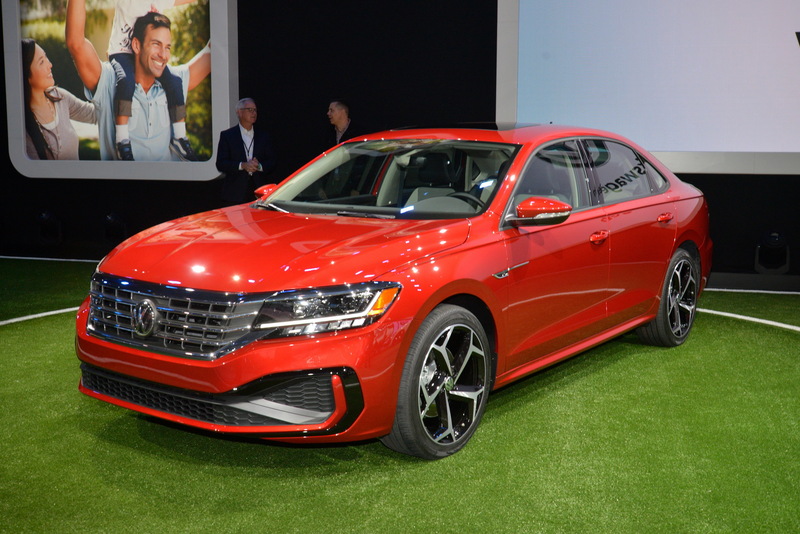 People generally complain about VW being lazy in design, especially when it comes mid-cycle facelifts… Should have stayed that way. And about the MQB, that thing is here to stay, don’t you fool yourself. In the holy industry name of cutting costs, in some time we may come about to see a C-segment Lambo riding on MQB… with a “clean diesel”.